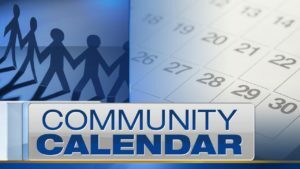 Food Addicts in Recovery, a 12-step program for those suffering from overeating, under-eating or bulimia, meet at 7 p.m., Advent Lutheran Church, 16870 Murphy Ave. Details: 800-600-6028 or www.foodaddicts.org. “Life Hurts, God Heals” is an eight-step program for middle and high schoolers providing life skills. Free classes take place from 6:30 to 8 p.m., at Cathedral of Faith, 7250 Forest St. Details: Suzie at (408) 497-2494. If you love to sew and work with fabric you’ll enjoy meeting with like-minded people who are part of a group of sewing enthusiasts who challenge and teach each other sewing skills. They meet at 10 a.m. in the Jackson Oaks area of Morgan Hill. Details: www.asgsanjose.org. An Alanon meeting for family and friends of alcoholics takes place at 7 p.m. at Gilroy First Baptist Church, 8455 Wren Ave.
Women in Touch II invite others to renew friendships and make new ones. 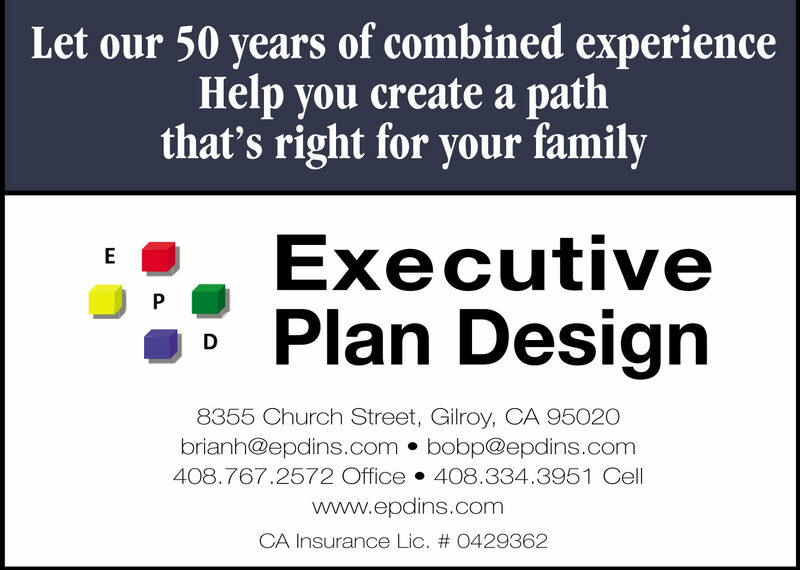 Meetings, which include lunch and entertainment, take place from 11 a.m. to 2 p.m., at the Gilroy Elks Lodge. The cost is $23, reservations required. Call Mary Saccullo at (408) 847-1964 or email msaccullo@aol.com. Learn to play bridge from 2:30 to 4 p.m. at the Gilroy Senior Center, 7871 Hanna St. There will be a lecture, pre-dealt practice hands and handouts. Register with Patty Stone at patty.stone@charter.net or call (408) 981-1043 or (408) 846-2952. Group meets at 6 p.m. for food, 7 p.m. for large groups and 8 p.m. for small groups, at New Hope Community Church, 8886 Muraoka St. Details: (408) 398-5107. Come to a safe space and have fun from 6 to 9 p.m. at the El Portal gym, 222 I.O.O.F. Ave. Food is served. Program for ages 13 to 19 though younger children are allowed if accompanied by a parent or sibling older than 18. A permission slip is needed if attending for the first time. Details: (408) 846-0460 or (408) 846-0313. Join the Gilroy Garlicky Group of poets for poetry fun from 3:30 to 5 p.m. at the Gilroy Public Library, 350 W. 6th St. Come join the fun. This is very low key with all levels welcome from the South Valley. This group meets at 2 p.m. at the United Methodist Church, 17175 Monterey St., and provides a safe place to share grief. Details: (408) 607-5779 or email platnumer@aol.com. Learn all about growing vegetables and ornamental plants in containers from 7 to 8:30 p.m. at the Gilroy Library, 350 W. Sixth St. Watering, nutrients, soil mix and other requirements will be discussed. Discover what types of plants are perfect container candidates. Find out about the many benefits of growing in containers and add interest and beauty to your outdoor space. Art & Play in Pre & K! Parents of toddlers, preschool, and kindergarten age children are invited to a morning of activities and fun experiences with your child at the Mount Madonna School Preschool and Kindergarten at 9:30 a.m. RSVPs encouraged. Details: Benna Dimig at (408) 846-4042 or admissions@mountmadonnaschool.org. Learn the basics of pruning fruit trees from 10 a.m. to noon at the St. Louise Hospital Teaching and Demonstration Garden, 9400 No Name Uno, Gilroy. Not only will pruning techniques be demonstrated, but if you’d like to try pruning yourself, bring some pruning shears and gloves. Presented by UCCE Master Gardeners South Santa Clara County. This class will be cancelled if it is raining. Learn the basics of pruning roses from 1:30 to 3:30 p.m. at the St. Louise Hospital Teaching and Demonstration Garden, 9400 No Name Uno Way, Gilroy. This class will be an actual demonstration of how to prune roses properly. It will be given by David Giroux and Marianne Sugg, volunteer leaders for 20 years at the San Jose Heritage Rose Garden. This class will be cancelled if it is raining. Men and women of all Christian denominations are invited to the Working for our Father Workshop from 8:30 a.m. to 3 p.m. at Old City Hall Restaurant, Gilroy. A continental breakfast, lunch and workshop materials are included in the $20 if registered by Feb. 12; $25 afterward. Register at www.cicintl.org/wfofg19 or call (408) 375-7746.